Mary makes paintings, prints and drawings. Usually starting a project with drawing, she works in series so the drawings and paintings evolve over time. 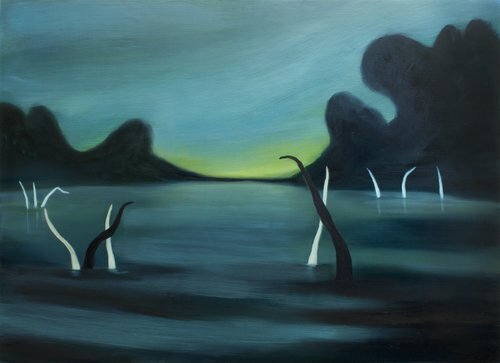 She tries to create a kind of minimal narrative in the paintings which she develops and explores throughout the series. Mary is from Bristol and studied BA Painting at Camberwell, followed by a postgraduate diploma in Drawing at the Royal Drawing School where she trained as a drawing tutor after graduating.